for attendee needs during World ATM Congress. Exhibitor support, accommodation, catering, hostesses, audio visual and transportation, as well as special events, pre- and post-event tours and more; it will all be provided through Kenes Spain. Better yet - all the names and faces are familiar to World ATM Congress attendees. The same great team who has supported the event for the past six years are now part of Kenes Spain. Please reach out to Kenes Spain when planning your participation for World ATM Congress 2019. You can find contact information below. 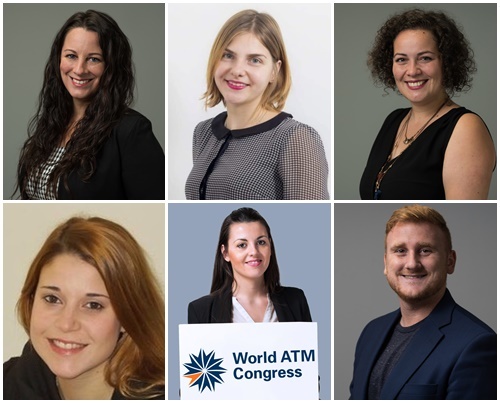 Should you have any questions, please contact Ken Carlisle at World ATM Congress or feel free to reach out directly to Smara Iglesia at Kenes Spain. Starting from this edition of World ATM Congress, the official and exclusive caterer for the show will be Life Gourmet. All catering requests will be managed through Kenes Spain.